As mentioned in my previous post, the initiator of the tour in Croatia along the Adriatic Coast is Sany Antonio and can easily be recognized by one of his 8 (eight!) 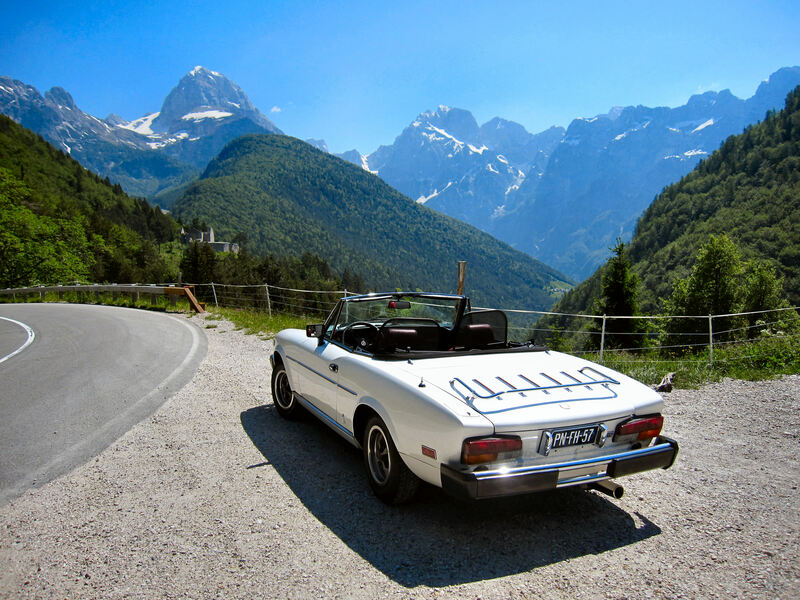 Fiat Spiders as you may see HERE. And a number of his Spiders HERE. If you would choose an accommodation in a private apartment you would have to spend Euro 80- for a very good & clean apartment per night for 2 persons. That does not include breakfast, as one can get things in a nearby store and prepare breakfast in the apartment or just have in a nearby café a coffee, tea, juice & a croissant for just a few Euros. And those are the prices in the SELCE region (in the North on the Croatian coast) and in Split we have a nice lodging in a little private hotel right by the water for about 45- Euros per person, including a nice breakfast too. In Dubrovnik I have also found good , nice and clean rooms for Euro 50- per night for 2, included breakfast. This lodging is right down by the water, in a little beautiful bay , just 5 km in front of Dubrovnik. Anyhow, if you prefer individual lodging in hotels...then there are many in Selce, Split, Dubrovnik and all over the coast...and you can find and book them on the internet in advance.